Common Terms in Bankruptcy to Know - Crooks, Low & Connell, S.C. If you’re going through bankruptcy, you may encounter a number of legal terms that may be unfamiliar. Understanding these common terms will help you more easily navigate the bankruptcy process and ensure that you make the right decisions. Here are some of the most common terms you may encounter in your bankruptcy case. Administer: To sell. You may hear this term used in the context of “administering” assets. This simply means to sell the assets. Asset case: This term is used when the chapter 7 trustee decides that the debtor holds some assets that are not exempt from bankruptcy and could be sold in order to pay the creditors. Abandon: The chapter 7 trustee will use this term to indicate that he or she has no interest in selling an asset. In this case, the asset in question is determined to have no equity and is returned to the debtor. Automatic stay: An automatic stay is a type of legal shield that prevents creditors from taking collective action against you during the bankruptcy proceedings. It means that all garnishments, lawsuits, and collections must stop immediately. Motion to value collateral: Also known as a cramdown, the motion to value collateral allows a debtor filing chapter 13 bankruptcy to pay back an extant car loan based on the car’s current value, rather than the value of the existing loan. A motion to value collateral can also be used to bring down the interest rate on said loan. Debtor: The person filing for bankruptcy. Creditors: The people who are owed money by the debtor. Converting: The process of changing one type of bankruptcy case to another. For example, a chapter 13 bankruptcy filing might be changed to a chapter 7 filing. Confirmation of the plan: This means that the judge has approved your chapter 13 bankruptcy case. Domestic support obligation: Alimony or child support owed by the debtor. Discharge: A court document stating that your many of your debts have been erased and you are no longer obligated to pay them. 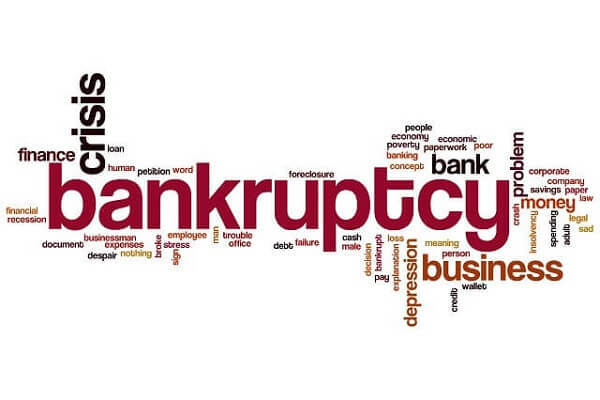 It usually takes about 100 days to receive a discharge for a chapter 7 bankruptcy. Experienced Bankruptcy Attorneys at Crooks, Low & Connell, S.C. If you’re considering filing for bankruptcy, or have questions or concerns about the terms and process, you need the help of a qualified bankruptcy attorney. An attorney can help you successfully navigate this confusing process, so you can get the fresh start you deserve. An experienced attorney at Crooks, Low & Connell, S.C. may be able to help you through the process and get you the best possible outcome. To schedule a consultation with one of our attorneys, call our offices in Wausau, WI at (715) 842-2291 or complete our online contact form today.